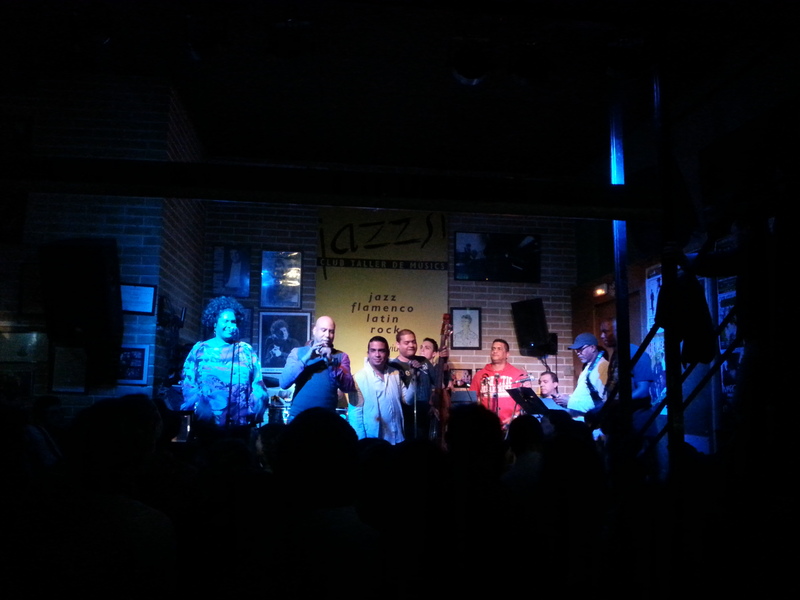 There are a ton of music venues in Barcelona, but for me one of the best places to see live music is JazzSí in the Raval neighbourhood. Linked with the Taller de Músics music school, it offers an opportunity for young musicians to get involved with the live music scene, and hosts jam sessions and live concerts every night of the week. Entry costs between 4 to 8 euros (including a drink) for a 2 hour show. There are different themes each night, and concert times & prices change depending on the theme so check the website before you go. Thursday night is Salsa night, and we were treated to a fabulous set from the Cuban group Los Promiscuos del Son, led by a buxom woman with a huge afro who was belting out songs like there’s no tomorrow. The band were fantastic, there must have been 10 people on stage creating an awesome atmosphere as we all sung along. It’s not a large venue, so get there on time to snaffle a good spot; although be prepared to be jostled around as the place fills up and the crowd start dancing. Every available space was taken, people were strutting their stuff on the stairs and balcony above which led to the bathroom. We managed to find a space in the back corner where we could at least wiggle along to the music, if not swing round and properly dance. The intimate size made for an electric atmosphere, and at the end when the singer introduced the band, and their Catalan drummer, the crowd went wild. A fabulously fun and noisy night, and over much too soon for my taste. But I suppose it was a Thursday, and there was still time for dinner and drinks aplenty elsewhere. Not to be missed.